Did you recently experience an unfortunate occurrence on one of our Haverhill area roads? Is your Mercedes-Benz now making a noise that causes some concern? Our trusted certified Mercedes-Benz service folks have been working on these incredible vehicles for decades. They are experts in these luxury vehicles and know how to fix many of problems that arise. 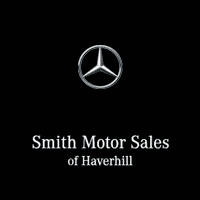 For over 55 years, the people at Smith Motors has been serving the area by fixing Mercedes-Benz cars in a timely manner, and in expert fashion. When your check engine light turns on or your car makes one of these unpleasant noises, it seems obvious that it needs to be serviced. Yet, there are a number of regular vehicle services that you should be conducting throughout the vehicle’s lifespan. Why Should I Service My Vehicle? Servicing your vehicle is essential for maintaining your vehicle, and allows you to enjoy the car for years to come. Without regular servicing, a vehicle will not last a fraction of as long as it would if it were serviced regularly. Check out some of our common services below and their purpose. Oil Change*: Oil changes are necessary because overtime the oil in your vehicle begins to breakdown. When it breaks down, it leaves a sludge that will wear your engine out. Your vehicle also cannot properly run without oil, so it’s important to make sure your vehicle receives regularly scheduled oil changes. Coolant Flush: Much like oil, coolant can also breakdown. Brake Pad Replacement: It goes without saying that your brakes are important. Regularly replacing your brake pad allows you to have the full potential of your stopping power. When your brake pad wears down, it then wears on your brake rotor and can cause further damage and more costly repairs. Tire Rotation: If you don’t regularly rotate your tires then the wear on your tires will concentrate in one area. When this happens, your tires wear much faster and need to be replaced sooner. Air Filter Change: Your engine needs to breath. The air filter is designed to filter out pollutants from entering the engine and causing wear. If the filter is clogged then air will not only have a difficult time getting to the engine but the air that does will be contaminated, which could cause the engine to overheated. What Services Does My Local Dealership Offer? The services above are just a few of the services that you need to maintain your vehicle. Check out a few of our other services below and let us know which one you think your vehicle would need. If you are interested in quality vehicle service in the Haverhill, MA area then stop by our dealership. One of our friendly staff members will be happy to help you with whatever you need! Need questions answered about your current Mercedes-Benz? Stop by today and have one of our expert folks take a look and give you peace of mind that the job will be done right!